Every time there’s a wedding, we go looking for an apt outfit (and truth be told, we all avoid repeating them). Instead of buying, here's another option - just rent! From Sabyasachi to Manish Malhotra to Varun Bahl and Ritu Kumar, here’s our list of websites that have gorgeous clothes from multiple designers on rent. Flyrobe has a wide range of outfits for all you bridesmaids, and a section especially dedicated to bridal wear. Saris, lehengas, fusion wear - they do it all. You can choose from a number of famous and well-known designers. To match your outfit, you can also rent accessories. Whether it’s your friend’s cocktail party or your own wedding, check this website and find the perfect outfit to for whatever the function. The best part about their services is that you can select up to three outfits and get a home trial too (brownie points for this feature!). Don’t want to spend a fortune but still look the best at the next function that you attend? Check Rentacloset and explore various options. You can also visit their store in Lajpat Nagar if you want to check out the fabric. Wrapd has a vast collection of lehengas on rent, and a number of branches all over the city. You can check their website and book an outfit. 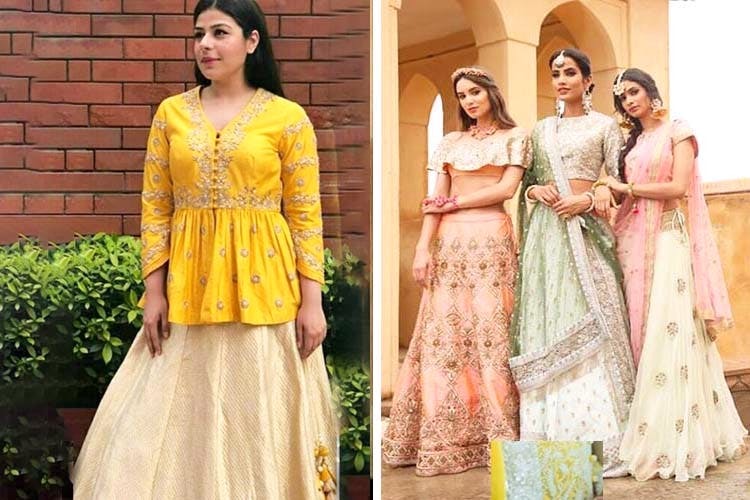 You can also visit their stores in Lajpat Nagar, Patel Nagar and Laxmi Nagar if you are not sure of the material and want to try the outfit once before booking. Rent It Bae has a variety of designs to pick from, and not just for their ethnic clothes. They've got dresses, jumpsuits, gowns and a lot of brands on board like TopShop, H&M and Zara. Coming to their Indian clothes, they've got stuff like lehengas, anarkalis, dhoti sets, saris, and sari gowns. They've also got accessories (including bags and watches) and a men's section (in case bae doesn't have an outfit ready).